Lock in a great price for Maritim Antonine Hotel & Spa - rated 8.4 by recent guests. great views from the rooftop. good food and drink options with breakfast. clean and well decorated hotel communal areas. parking under hotel (if you are brave and have a tiny car that can take on the spiral) easy links to gozo and the rest of malta. indoor pool option too. Second time staying here! Lovely breakfast, comfortable bed, nice spa and excellent location. Friendly staff, good size room (king size bed), good breakfast, good deal on the dinner buffet, nice location. Amazing hotel, very good breakfast, nice clean rooms and good bathroom. Good sized room. Good breakfast and buffet dinner. Parking garage is so uncomfortable to access. 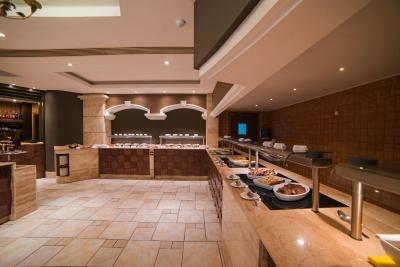 Excellent breakfast options and good value evening buffet. The view of the garden is very pleasant and the choice of swimming pools a bonus. I would recommend this hotel. The road is currently being retarmaced and so a shuttle serves the bus stop. Convenience, nice spa/pool and great breakfast buffet. Offering a rooftop pool, a spa, and 3 restaurants, Maritim Antonine Hotel & Spa is set in the hillside village of Mellieha, 0.6 miles from Malta’s largest beach. It boasts panoramic sea and country views. 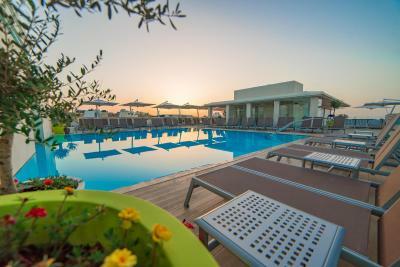 It is just 15.5 miles from Malta International Airport. All spacious, elegant and air conditioned, the rooms come with satellite TV and free coffee-making facilities. Some overlook the sea, garden, or city. 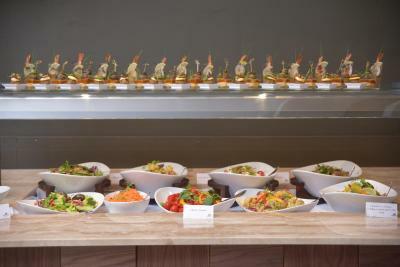 Guests can enjoy a variety of cuisines at the on-site restaurants, which offer both indoor and outdoor dining spaces. In summer months, pool-side BBQs are also arranged. Situated in the north of the island, the property is a 30-minute drive from the capital Valletta. 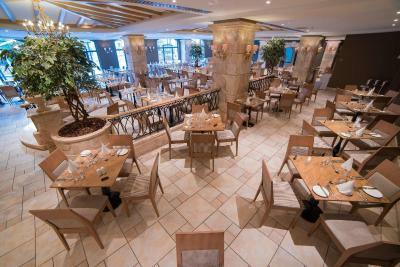 Maritim Antonine Hotel & Spa has been welcoming Booking.com guests since 13 Jan 2010. When would you like to stay at Maritim Antonine Hotel & Spa? 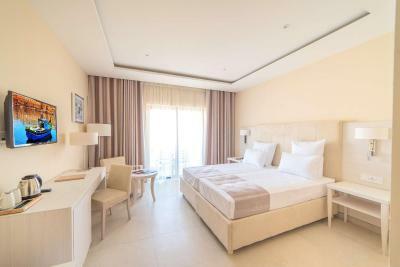 With a balcony overlooking Mellieha's main streets, this classic room features air conditioning, tea/coffee making facilities, and a satellite TV. Wi-Fi is free. With a balcony overlooking the garden and the swimming pool, this air-conditioned room features a satellite TV, and tea/coffee making facilities. Wi-Fi is free. Set in the internal part of the hotel, this classic room features air conditioning and a satellite TV. WiFi is free. The room overlooks either the internal courtyard or the hotel lobby. 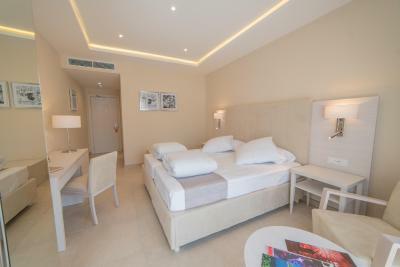 With a balcony overlooking the streets of Mellieha, this air-conditioned room features a satellite TV. WiFi is free. Some rooms have lateral sea views. With a balcony overlooking the garden and/or the swimming pool, this air-conditioned junior suite features a satellite TV and tea/coffee making facilities. WiFi is free. Some rooms have lateral sea views. With a balcony overlooking the garden and the swimming pool, this air-conditioned junior suite features a satellite TV and tea/coffee making facilities. WiFi is free. Some rooms have lateral sea views. This suite is composed of a separate bedroom with seating area and a bathroom with walk-in shower. It includes a balcony featuring deckchairs and overlooking the garden or Mellieha's main streets. 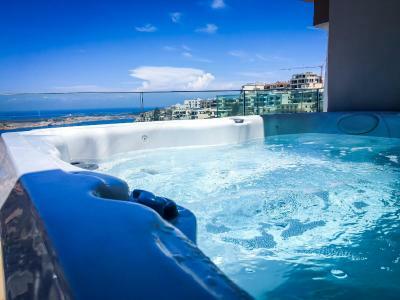 It also comes with a private terrace with hot tub and views of Gozo and the sea. WiFi is free. 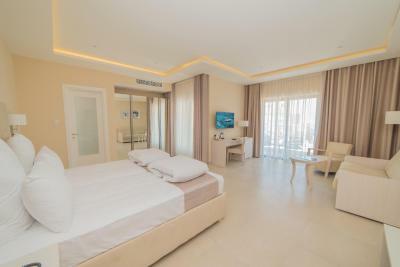 Featuring a 127 m² rooftop terrace with private swimming pool and views of Gozo and the sea, this large penthouse suite includes satellite flat-screen TV, a dining area, and an additional bathroom. WiFi is free. This suite features a balcony overlooking the garden and the swimming pool, air conditioning, and satellite TV. It includes free WiFi and a separate seating area. This suite features a balcony overlooking the garden and the swimming pool, tea/coffee making facilities, air conditioning, and a satellite TV. WiFi is free. This air-conditioned suite has a private balcony overlooking Mellieha's streets, tea/coffee making facilities, a satellite TV and free WiFi. Some rooms also have lateral sea views. This air-conditioned room has a private balcony overlooking Mellieha's streets, tea/coffee making facilities, a satellite TV and free WiFi. Some rooms also have lateral sea views. This air-conditioned room has a private balcony overlooking the garden and swimming pool. It offers tea/coffee making facilities, a satellite TV and free WiFi. Some rooms also have lateral sea views. House rules Maritim Antonine Hotel & Spa takes special requests - add in the next step! Maritim Antonine Hotel &amp; Spa accepts these cards and reserves the right to temporarily hold an amount prior to arrival. Maritim Antonine Hotel & Spa accepts these cards and reserves the right to temporarily hold an amount prior to arrival. When booking more than 10 rooms, different policies and additional special offers may apply. Please note that rooftop pool cannot be accessed by children under 16 years of age. There was an issue with the 7 euro city tax. my confirmation email from Booking.com said it was included in what I had already paid but hotel said it definitely wasn't but they wouldnt let me pay it cash or with another card. i didnt have the card I booked on with me so they had to refund the whole holiday and charge it all to a new card plus the 7 euros which i think is ridiculous. also booking.com email definitely said the 7 euros tax was included but I ended up paying an extra 7. not a big deal but having to refund and pay the whole fee again was frustrating. Also in terms of the hotel. everything was nice and clean but a shame the steam room was way too hot and the sauna too cold. the selection of fruit in the morning was lacking and the towel card system didnt work as the cleaners took the blue towels from our room. also strange glass door to ensuite which isn't great. We have asked for late checkout since we have booked the room ( our plane was in the evening). We've been told to ask at the location, which we did, but no clear answer, again we were told to ask in the day of our departure. Morning of the departure we were told told the room was booked and if we want we can pay for an additional night in a different room (this was for only a few extra hours that we needed in order for our kid to take his nap...) Room not cleaned properly, really bad smell from the bathroom. Ceiling to floor windows were a nice feature, however, windows were really dirty. We had a street facing room, so pretty noisy, with the windows closed. Great room, great location, great hotel overall. I really liked how it looks and how huge it is. We spent 3 nights there and the towels were not changed. The smell of drains and not getting beds advertised and confirmed by phone and email, prior to booking ... A single bed was missing so 11 and 13 year olds had to share sofa bed in family room. Bus stop outside currently closed.